The new crazy ufo can take up to 5 people at the same time as we take you for a wild ride as you slide and jump in the air the crazy ufo is great for people who love adrenaline and up for a good time! Anyone older than 16 years can ride it and can be rented for a group, for a person or just for you and your couple. Try this 15 minutes long ride and you wont regret! 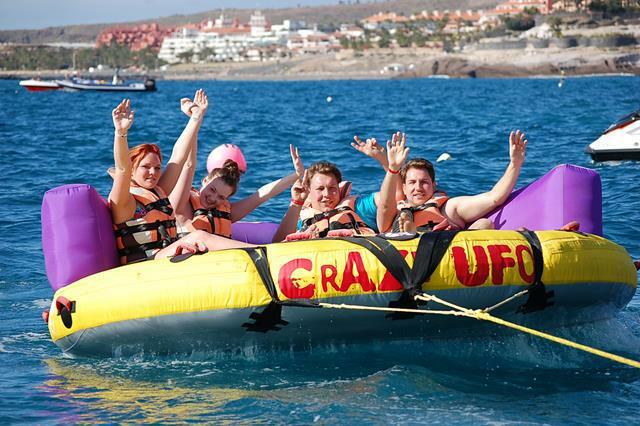 CRAZY UFO Boat Fun Rides starts from Las Americas every day at 12:30 AM, 01:30 PM, 02:30 PM and 03:30 PM. 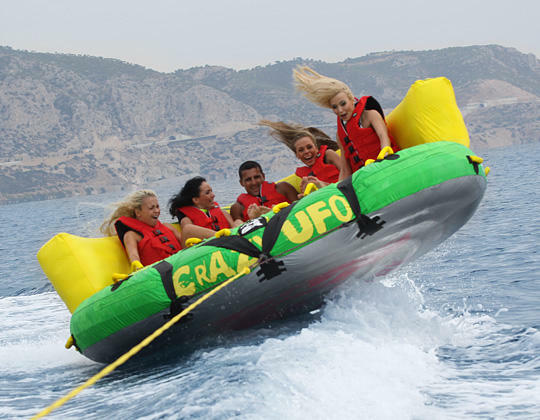 In order to make your booking of CRAZY UFO Ride easy and comfortable Tenerife Host use the most advanced and user friendly booking platform TripsPoint.com where you can easily check last actual prices, the tour availability, required booking deposit and book this tour. To get more information of CRAZY UFO Ride and do booking, please, click the button ‘Book Now’. You will be taken to the tour page at TripsPoint.com where you can easily book the tour. Once the booking of CRAZY UFO Ride made at TripsPoint you will get your tour Voucher / booking confirmation with all details, including exact pick-up point with pick-up time and map.